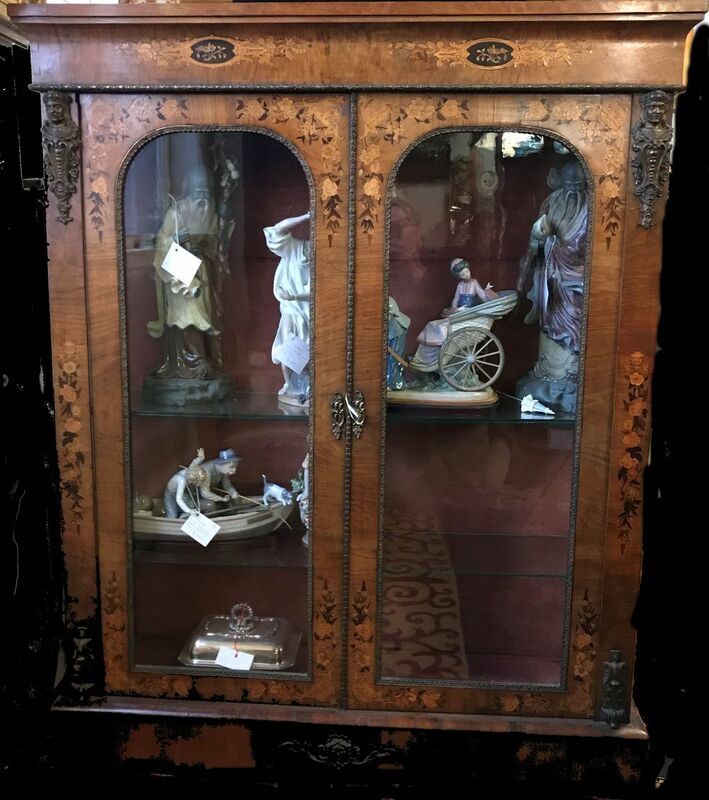 and other display cabinets. All at our, Sydney Shop. and three drawers and rouge marble top. 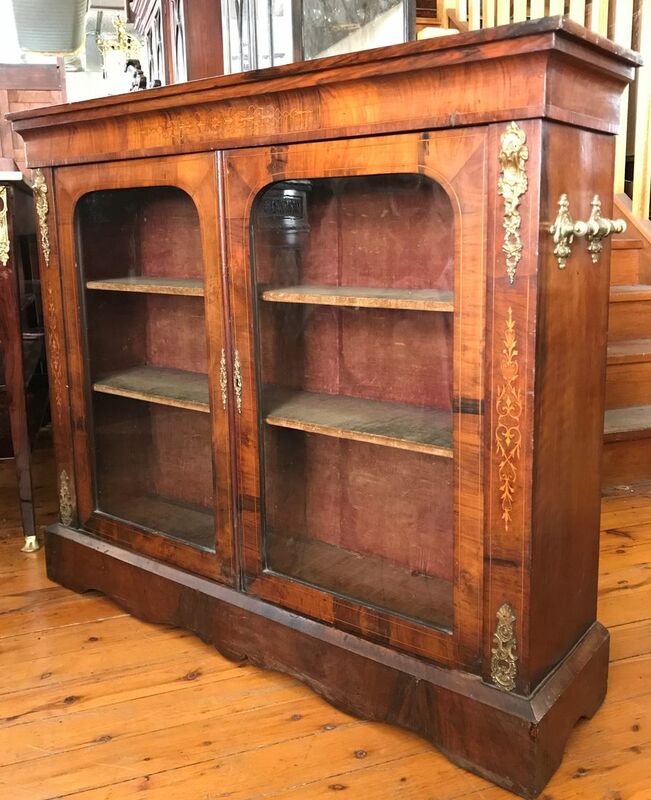 Beautifully inlaid walnut, with finely cast mounts. Two arched, glazed doors on plynth vase. Antique French Henri 11 Sideboard. and 2 Panel Doors, with shelf beneath. 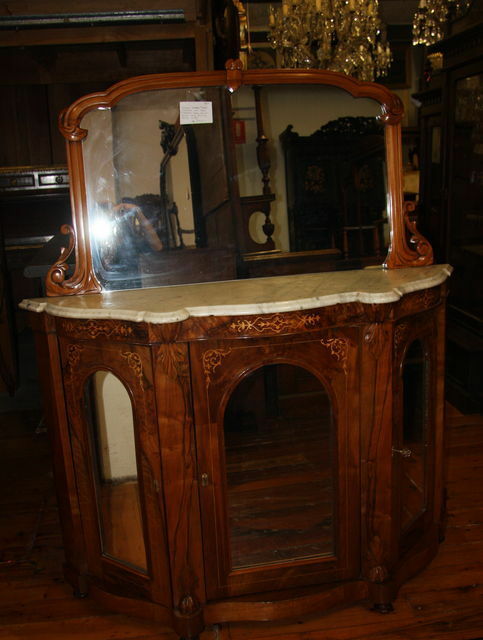 Antique Marble top corner cabinet. Available as a pair. Ebonised, inlaid panel door and bronze mounts. With Marble top and 3 arched mirror doors. 1180 wide 1500 high 400 deep. 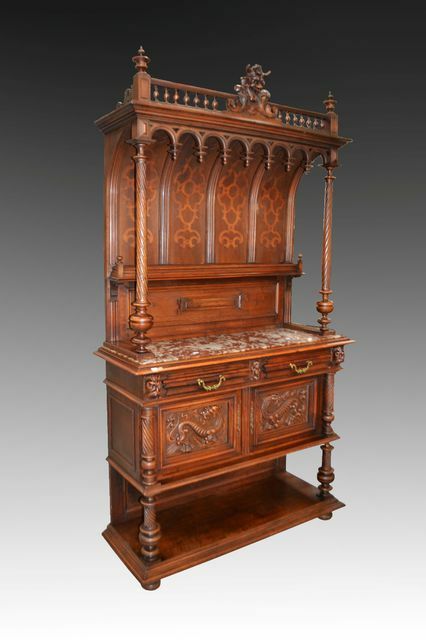 Antique French Henri 11 style Walnut two height Buffet. 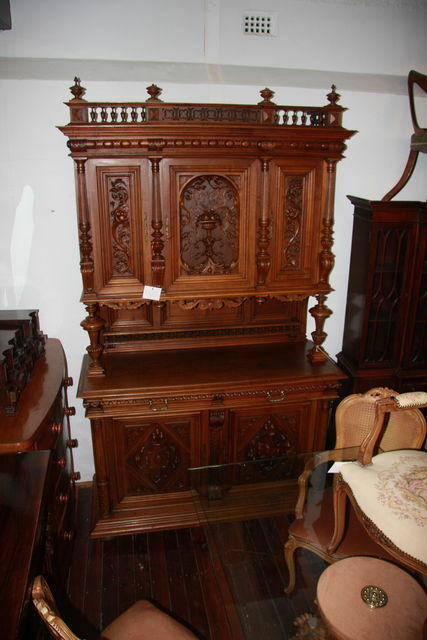 The whole very finely carved. Circa 1880. 2450mm high 1500mm long 600mm deep. Antique Chest of Six Drawers. Superb Burr Walnut with Brass Handles. Beautifully carved with dragons, birds and flowers. 85 cms. wide 40 cms. deep 123 cms. high. 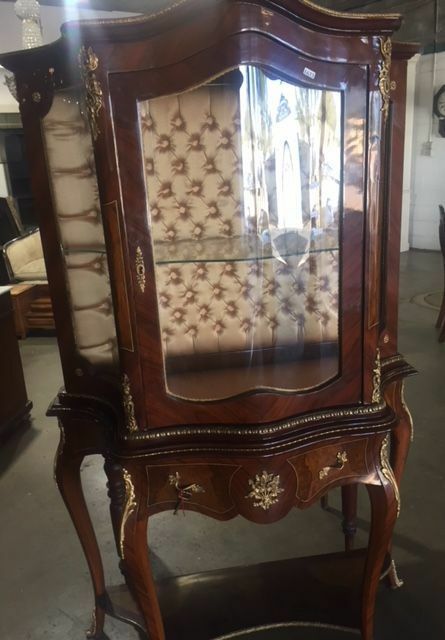 Marble Topped Two Door Cabinet. 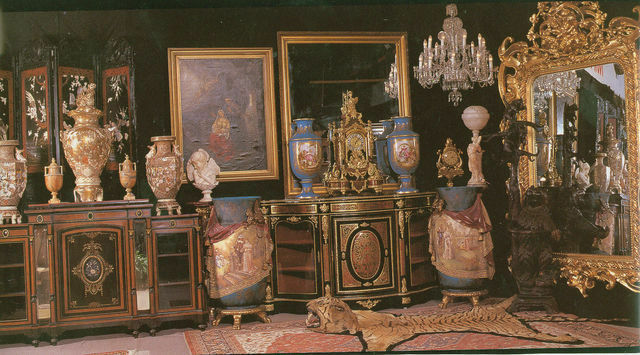 with Ormolu in the Louis XVI Manner. This is a contemporary copy of an Antique. We have a matching pair. 1570 Long 1000 High 600 Deep. 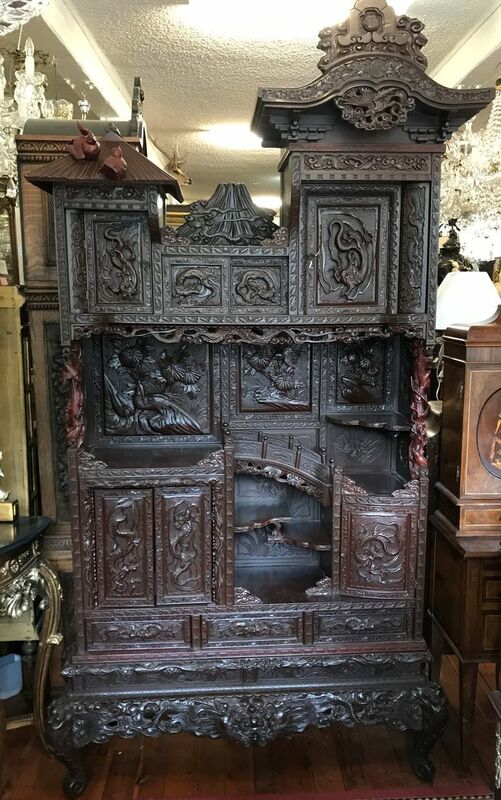 Antique French Gothic Carved Walnut Sideboard. Antique. 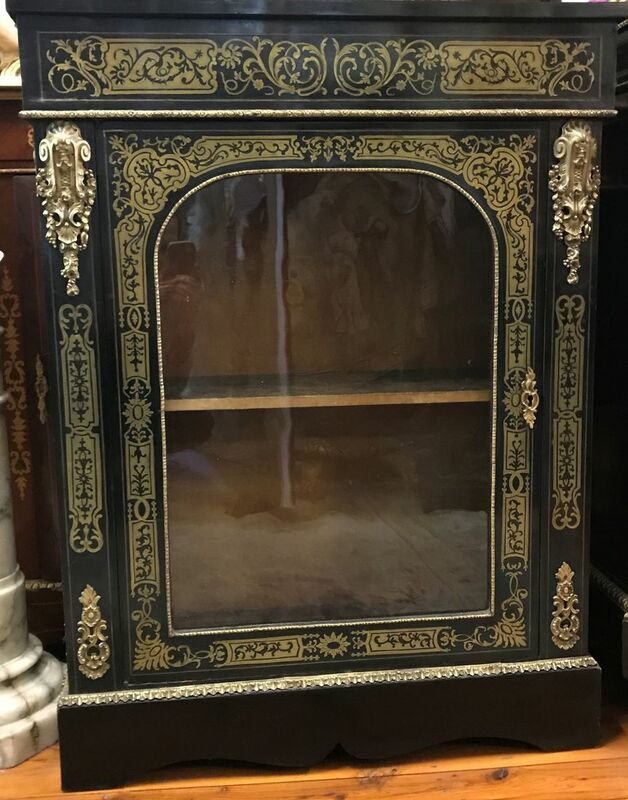 Victorian Inlaid Walnut Pier Cabinet. Two Arched Glass Panel Doors enclosing velvet lined Shelves. Unusual Gilt Bronze Mounts to the Front and Sides. Mounts, and Quality Brass Inlay.